The decisions that individuals and societies make about housing are deeply linked to decisions about transport. The ways in which people get around are affected by where they live and how their neighbourhoods are designed. And transport, in turn, has a host of broader effects. It affects our happiness and wellbeing, the efficiency of our economy, our expenditures on infrastructure, how clean our air is, and how much of our public health spending is consumed by diabetes and cardiovascular disease. In recent years, the policy debate about housing has focused largely on prices and aggregate supply dynamics. Transport usually only enters the frame when asking when roads will be built to enable greenfield areas to be subdivided. In my view, this is too narrow a perspective. A more holistic perspective on housing policy would ask further questions. First, how does the built environment, including housing, influence people’s travel choices? Second, does it matter how people get around? And third, are we offering people the housing and transport choices they desire? In her 1961 book The Death and Life of Great American Cities, Jane Jacobs observed that “dense, diversified city areas” were full of people travelling on foot, in contrast to the suburbs and “grey areas”. Half a century later, transportation researchers Reid Ewing and Robert Cervero (2010) reached the same conclusion, with added statistical rigour, after reviewing hundreds of academic papers[i]. Ewing and Cervero concluded that there are “five D’s” that influence people’s travel behaviour: density, diversity, design (of street networks), destination accessibility, and distance to public transport. The denser the neighbourhood, or the greater mix of uses within it, the more likely people are to walk, cycle, or take public transport. By contrast, single-use areas with disconnected street networks are amenable to cars and not much else. Another way of putting this is that proximity matters. Being close to more destinations gives people more opportunities to make trips in a variety of ways. People respond to the availability of choices by, in many cases, choosing alternatives. This isn’t simply a result of selection bias, in which car-loving people live in car-based neighbourhoods. The characteristics of the place you live can in fact change the way you travel. Consider the results of a recent study in Vancouver, which found that people who prefer an auto-oriented neighbourhood, but live in a walkable one walked twice as often, took public transit twice as frequently, and drove nearly two days less per week than those who prefer and live in an auto-oriented neighbourhood. But does it matter if people live in places that lack the “five D’s”? In other words, should we care how people get around (and how far they must travel)? In a word: yes. When people live in places that offer them better transport choices – i.e. the option to walk, cycle, or take public transport as well as the option to drive – it’s better for them and better for society. There are three key advantages to living in a place that offers proximity and transport choices. The first is that proximity can save people time, money and stress. When I used Census data to analyse household expenditures on housing and transport in New Zealand’s three main cities, I was surprised to find that financial savings from lower rents further out of the city tended to be fully offset by added commuting costs. When you factor in the added time that people must spend on the roads, living further away starts to look like a false economy. To make matters worse, longer commutes can be psychologically costly – a 2014 study by the UK’s Office of National Statistics found that, all else equal, longer commutes were associated with lower and lower levels of happiness. As Charles Montgomery observed in Happy City, people buy houses once but must commute every day. The second reason to appreciate proximity is that it can be more economically efficient. Longer distances between people increase the “spatial transaction costs” that they must bear to socialise, trade ideas, and do business. By contrast, the “five D’s” give people greater opportunities for interaction. This is important, as economies ultimately rely upon people’s interactions and transactions – between workers and businesses, entrepreneurs and investors, shoppers and retailers, and students and educators. We have a good idea of how these effects may play out in Auckland. Land-use and transport modelling undertaken for the Auckland Plan (and subsequently presented to hearings on Auckland’s Unitary Plan) shows that developing a more compact, mixed-use city will give workers much better access to jobs, and businesses much better access to workers and customers. Interestingly, it is also expected to result in lower congestion, suggesting that people who would prefer to drive also benefit from increased transport choices. Finally, enabling people to live in areas with better transport choices can make us healthier. This wasn’t necessarily the case a century ago. When New Zealand’s cities were being established, urban planning aimed to mitigate diseases of proximity. In his history of city-building in Australia, New Zealand, and the Pacific coast of North America, Lionel Frost observes that suburbanisation began as a public health panacea: it made people “safe from the deadly miasmas of the inner city” by allowing them to “dig a simple cesspit at the back of a relatively deep lot”. But things have changed since then. Instead of struggling with cholera and other diseases of proximity, we are now afflicted by diseases of inactivity, such as diabetes and cardiovascular disease. According to a study commissioned by Auckland, Wellington and Waikato councils, physical inactivity caused 246 premature deaths in 2009 – roughly equivalent to road deaths in more recent years. Nearly 50% of New Zealand’s population is physically inactive. Public health agencies are acutely aware of the social costs associated with living in neighbourhoods that do not offer people transport choices. But although they are responsible for addressing the health issues arising from housing and transport issues, they don’t have a lot of influence over how we build neighbourhoods. Perhaps that should change. But are we simply getting the housing and transport choices that we choose? After all, most Aucklanders drive most of the time. Data from New Zealand’s Household Travel Survey indicates that Aucklanders did 94% of their travel (measured in kilometres) in cars, either as drivers or passengers. Other transport modes barely featured. However, surveys consistently suggest that people would like to have more choices than they do. Take, for example, Auckland Council’s recent “Housing We’d Choose” study, which surveyed Aucklanders to find out how they weigh up the price, quality, and location of housing. When considering how convenient a location is, 38% of respondents ranked easy access to public transport as important, well ahead of access to a motorway as important (29%). However, only a minority of Aucklanders actually live within close distance of good public transport services. 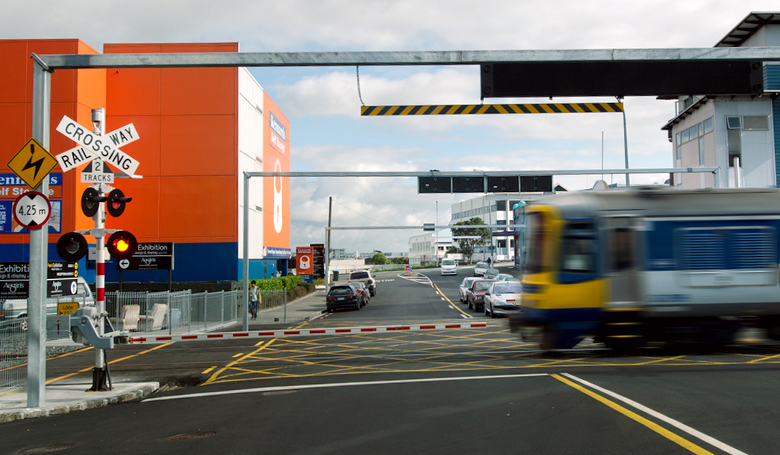 According to PhD research by my colleague Saeid Adli, less than one in ten Aucklanders lives in a neighbourhood where they can access more than 50,000 jobs in a thirty-minute public transport commute. This is significantly below the share that say they would like to live in such a place, which indicates significant unmet demand. In a similar vein, the Vancouver research I cited earlier finds that 20% to 30% of people living in “auto-oriented” neighbourhoods would prefer the opportunity to live within walking distance of more destinations. Meanwhile, only 3-12% of people living in walkable neighbourhoods would have preferred to live somewhere auto-oriented. How can we get the choices we want (and need)? In other words, people want to live in places that give them transport choices, but can’t. How did this happen, and what can we do about it? Historically, the disciplines of urban planning and transport planning have adopted a “one size fits all” approach to meeting people’s needs and desires. If the average commuter drove a car, policymakers responded by building lots of roads, and neglecting public transport, walking, and cycling. If the average business provided a parking lot for customers and employees, policymakers responded by regulating to require every business to provide a similarly-sized carpark. If the average household needed three rooms and a backyard, policymakers responded by subsidising the construction of many standalone houses – and regulating the alternatives out of existence. This is an absurd approach and it must change. Housing and transport policies must recognise the diversity of needs and desires that different people have, and respond by providing or enabling choice. While not everyone wants to live in a neighbourhood that offers the “five D’s”, many people would quite like the opportunity. Why not give them that choice? It’s good for them – and it’s likely to be good for the rest of us too. 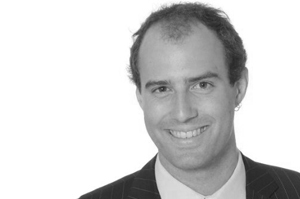 Peter Nunns is Senior Economist at MRCagney, a transport and urban planning consultancy working across Australia, New Zealand, and southeast Asia. Peter has previously worked for the Ministry of Business, Innovation and Employment, Pricewaterhouse Copper, and the Auckland Council. His interests and areas of work include the economics of transport investments, urban planning policies, and other major "city shaping" initiatives. He regularly writes at Transportblog.